The Mendocino Hiking Boots from Ahnu incorporate the eVent waterproof membrane and a full grain leather body in a minimalist approach to light weight hiking boots. I’ve been dragging them through rocks, mud, and the mountains of Tennessee to see how they hold up, and here is what I’ve come up with. The boots are designed with a clean, simplistic look, giving it a classic vibe without looking gaudy or zealous. The overall build focuses on light weight and comfort by utilizing a minimalist design while using as few stitches and seams as possible. A nearly one piece full leather body is wrapped around the eVent membrane to provide full weather protection from the rain, puddles, and stream crossings. The membrane extends most of the way up the boot forming an internal bootie, keeping water out up to the ankles. The gusseted tongue is thick and nicely padded, as is the heel of the boot. The heel is cushioned with two soft overlapping pads. One is stationary, and the second is allowed to move a bit. This allows the back of the boot to be flexible, but it also keeps the fabric against the heel instead of moving around against the skin, reducing heel slip and thus blisters. The boots come in black or brown and retail for $175. Comfortable right out of the box, the Mendocino boots feel great. The soft leather body is supple and feels great on the foot. Break in time was minimal, only requiring enough time for my feet to adjust to having something new strapped around them. Instead of breaking them in for months. After about a week of wearing them around town, they were mostly ready to hit the mountain. 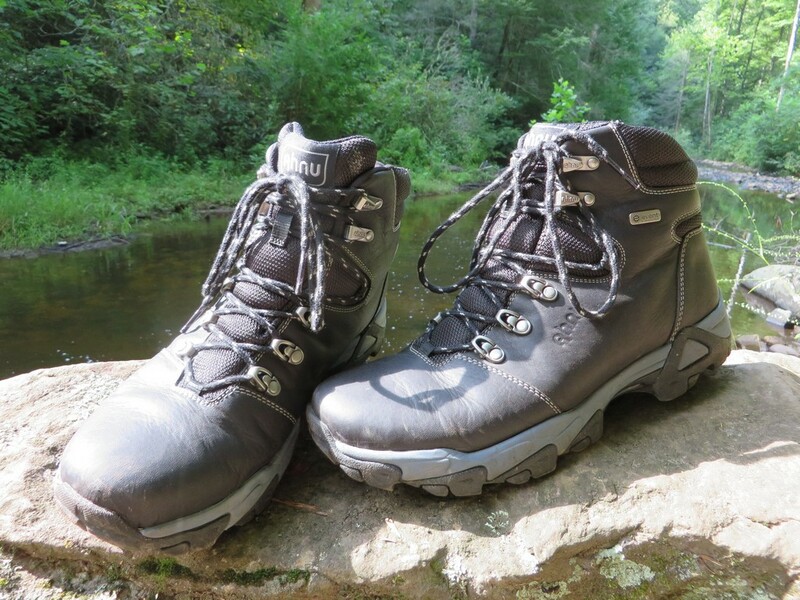 Hiking and backpacking with these felt great. The boots are built to be light weight, which cuts down on fatigue, but they still provide protection. The body is flexible and provides an adequate amount of stiffness and support while scrambling and hopping over rock gaps. Also thanks to the soft flexible build; climbing up steep grades is more comfortable, with less slippage both in the heel and on the ground. 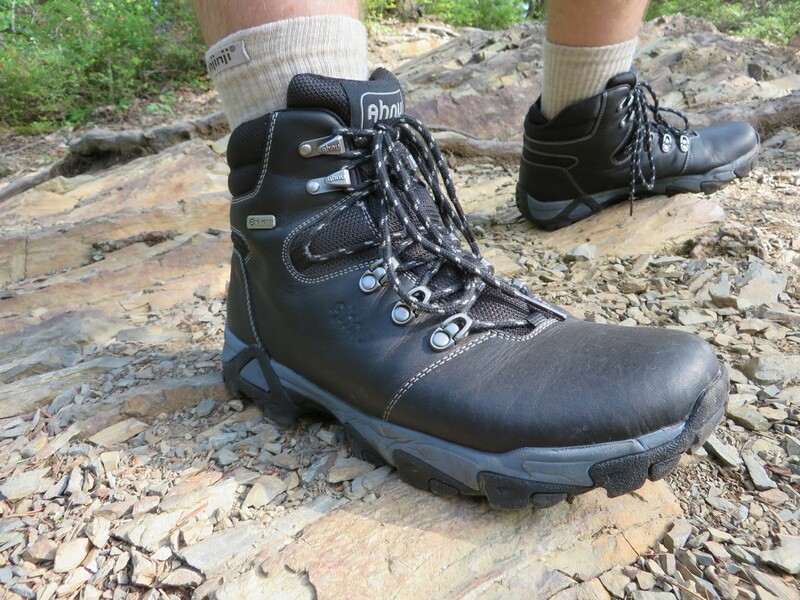 The boots are less restrictive when it comes to freedom of movement than most boots I’ve tested. The simple design and straightforward cuts create a smooth finish, inside and out. This not only looks great, but feels nice, minimizing rubbing as well. The leather body has few seams, eliminating many possible points of friction (stitches are stiff and abrasive). Protection is pretty good all around. The toe box is roomy enough to guard from stubs on rocks and roots, and the sole is just stiff enough to keep the arches of my feet from aching on longer hikes. The ankles supply good roll protection while also protecting from scuffs and abrasions on the sides of the feet. Waterproofing has been great so far, keeping out water when being dunked, even when submerging the laces and the tall tongue keeps out rocks and sticks. Breathability is pretty solid for a waterproof boot. I’ve had little heat buildup, and I’ve had no issues with sweaty feet. While lacing is easy, the eyelets on the ankles can be felt through the padding of the tongue when tightened down, especially during the break in period. It’s minor and hasn’t caused any real issues, but worth mentioning. Don’ skimp on the break in period. Thicker socks really help. The softer build of the boot allows for some light rotation of the foot on unstable ground, as there isn’t much reinforcement or added support around the ankle. This is really only problem if carrying very large, heavy packs or for those who need extra ankle support. The boots provide a fairly close fit, and stay fairly snug against the foot. Sizing seems true, and the toe box is more narrow and short than some boots. I’ve been really enjoying the Mendoncino hiking boots. The soft, flexible body and limited seam count makes for a very comfortable boot. Normally, I’ll kick my boots off as soon as I can in camp, but I found myself wearing these around without even noticing they were on. The traction on steep and slippery surfaces is great, and they provide enough protection for extended backpacking trips through the rain and on rocky terrain. The fact that they’re light weight doesn’t hurt either. My only real complaints are the stiff rivets/ eyelets for the laces. If weight and comfort are a high priority, this is an excellent great looking boot. For more information on the Ahnu Mendocino Boots, check out their website. For information on our rating system and our testing procedures, check out our About us/ Contact us page. 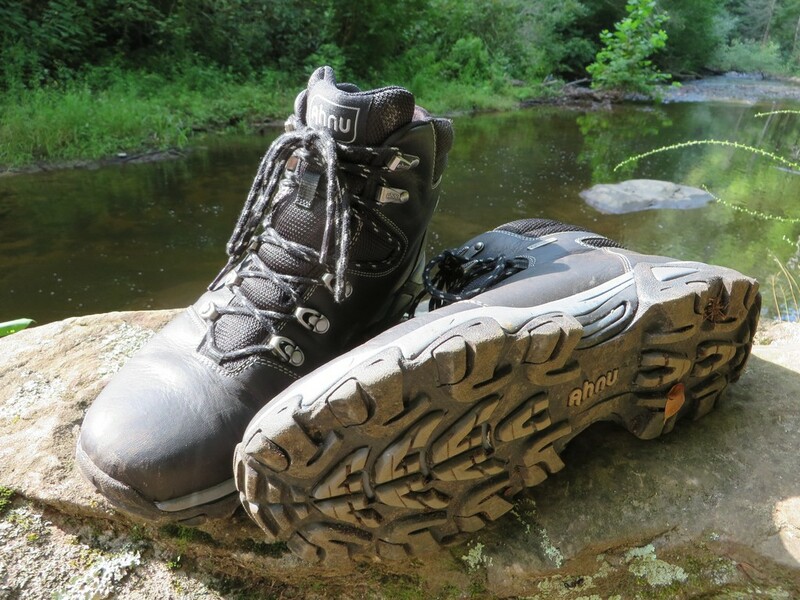 I want to extend a big thanks to Ahnu for their continued support and for providing us these great boots for review. Our full disclosure can be found here. SAXX Kinetic Underwear. I’m never going back. Sierra Designs Tensegrity 2 Elite Review. Innovation done right.